Country Music Hall of Famer, Bluegrass Hall of Famer, performer, executive, songwriter, and general country music advocate Mac Wiseman has passed away. He was 93-years-old, and was one of the last living links to country music’s golden era. He died on Sunday, February 24th. Known affectionately as “The Voice with a Heart,” Malcolm B. Wiseman was born on May 25th, 1925 in Crimora, Virginia. He contracted polio at six-months-old, and suffered from the disease through most of his youth. This meant he couldn’t work in the fields like the others children of the area, and instead stayed at home, listening to old records. He attended high school in New Hope, Virginia, as later enrolled in the Shenandoah Conservatory in Virginia, eventually moving to Winchester, Virginia in 1944 where he started his musical career as a disc jockey for WSVA-AM. Mac Wiseman became a professional musician in 1947 when he started playing upright bass in the backing band of Molly O’Day, including on her iconic tack, “Tramp on the Street.” It was during this time that he also hosted the WCYB Farm and Fun Time radio show where he worked with country music founding father, A.P. Carter. He would later play guitar for Flatt & Scruggs, Bill Monroe, tour with Hank Williams, and join the Louisiana Hayride, making Wiseman one of the last individuals who had a true connection to country’s and bluegrass music’s very founding roots. Just as important as his musical contributions were Mac Wiseman’s moves as someone behind-the-scenes helping to forge country music into a national movement and preserve its place in American culture. He managed the WWVA Jamboree in Wheeling, West Virginia, and in 1958, co-founded the Country Music Association, or CMA, and was elected as the organization’s first secretary. He was the youngest of the original founders, and at the time of his death, was the last living CMA founding member. At the time the CMA was formed, the charge was to make sure the popularity of rock and roll did not impinge on country’s place in popular culture. Mac Wiseman was also one of the founders of the International Bluegrass Music Association, or IBMA, in 1986. Mac Wiseman also dabbled in folk music for a while, working on the college folk circuit, and would quite often revert back to his bluegrass roots. Wiseman ran a bluegrass festival in Renfro Valley, Kentucky from 1970 to 1983, and though many of his hits were country, bluegrass instrumentation was always featured prominently. In 1993, Mac Wiseman was inducted into the Bluegrass Hall of Fame, and in 2014, was inducted into the Country Music Hall of Fame in the Veteran’s category. In 2008, Wiseman was given a National Heritage Fellowship award from the National Endowment for the Arts. In 2014, he released his final album Songs From My Mother’s Hand, and in 2015, a biography called All My Memories Fit to Print. Mac Wiseman is survived by five children, Randy, Sheila, Christine, Maxine, and Scott. Funeral arrangements are pending. After the recent deaths of Harold Bradley and Curly Seckler, Mac Wiseman was one of the very last individual who worked beside country legends such as Hank Williams and A.P. Cater. Now just a handful more still exist, including Don Maddox of the Maddox Brothers and Rose, and the guitar player for Hank Williams, Joe Pennington. His rendition of “I Love You Because” with John Prine is one of my favorite songs. That, to me, reads like a country music resume should. RIP Mac. Mac was also part of the last studio album that was released by Merle Haggard before his death, the little-heard Timeless. It was mostly a record of duets that was exclusive to Cracker Barrel stores, and it went out of print quite quickly. I remember when he was elected to Country Music HOF and wondering why he was chosen. Thanks for the great article which clearly shows that he belongs there. The number of comments on this article serve as hard evidence about my point that C(c)ountry music is gone forever. The young people who frequent this site are quick to comment on anything that gets labeled ‘Outlaw’, but you write about some real hillbilly music and it’s crickets. Articles such as “Kane Brown tells all about his romantic date” or “Miranda Lambert spills all on what she is looking for in her next husband”, get 200 comments within hours. It’s quite pathetic. “Outlaw!” Did someone say”outlaw”? Hank Williams and Bill Monroe told me to hold their beers. Less and less rural area. Fewer and fewer people who’ve lived in the country. Technology connects and assimilates people at a staggering rate. These are just realities of the world we live in, and unfortunately this drives the money grabbers ever more to urban and generic music. Bluegrass has managed to survive and thrive (as a niche market) at least in part because some people got together and defined and enforced the parameters of the genre. Defining the parameters of country music is a lot harder because it’s evolved many times over many years and is sonically sprawling. Just some thoughts. The only answer I have is to spread real country music to whoever will listen, and hope some dig deeper. Appreciation of history is not as much an age thing as it is an attitude thing. There’s probably just as many 30-somethings interested in bluegrass history as there is 60+ year old folks who don’t give a hoot. I would even venture to say that a lot of times it just takes minor exposure in the right direction/area to start a young’n on a path to lifetime fascination with country and its roots. A nudge in the right direction for anyone, but especially the youth, is often all it takes. There’s 15 comments on an obituary for Mac Wiseman. There’s a youtube video from the ’70s of a 400-pound Mac Wiseman appearing on the Del Reeves Country Carnival TV Show, looking like he’s unable to walk. Wiseman should be in a Fitness Hall of Fame for making it to 93. I wonder how Mac turned his life around. Only thing I’m pretty sure of is he didn’t go running like Jim Fixx. I’m not ridiculing or mocking him at all. I’m genuinely impressed that the morbidly obese man seen in that video was able become healthy and live to 93. I think it’s something that a lot of people would find interesting. You are spot on. I see no link between today’s country and the country of yesteryear. Even the neo-country of the 80’s and 90’s payed homage to their predecessors and tied it back to those who came before them. It is a very sad day indeed. I was around Mac quite a bit growing up on the Bluegrass circuit, and he was a genuinely friendly and inclusive man. He didn’t carry a band, so you never knew who would be backing him up. Sometimes it would be McCoury quality, and sometimes it would be less impressive(me and some of my buddies…ha ha), and he treated us all the same. King Honky nailed it, by the way. The Smokey The Bear hat “authentic” crowd doesn’t know and doesn’t care about guys like Mac and Jimmy Martin(talk about an OUTLAW), and the list goes on and on…Not from what I’ve been around them anyway. Get to talking about hillbilly music, and they get away from you faster than you can say urban lumberjack. Who would you say are the rest of the last living links to country music’s golden era, and how can we preserve/honor them, I wonder? This was the 2nd such list I did like that, and I caught all kinds of hell because people couldn’t understand the premise of it. That’s why I haven’t done another. One way we can honor them is by putting them in the Hall of Fame. Mac Wiseman already was. The Maddox Brothers and Rose definitely need to go in, and it would be great if it happened while Don Maddox is still alive. I know Marty Stuart and others have been lobbying for it. I don’t have the words for Mac, so I’ll use his music and I’ll remember. RIP legend. 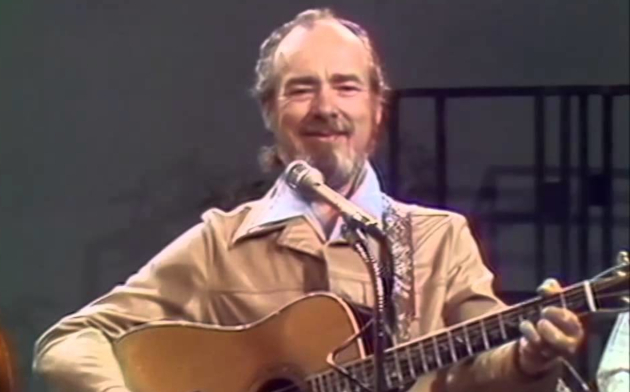 I believe Mac was likely the last living performer that appeared on the Opry the night Hank Williams made his famous debut. He was with Bill Monroe at the time. Hank debuted on the Opry in 1949. Jimmy Martin may have been Bill’s lead singer at that point. I love these articles about the links to Country’s past. I have a good friend whose father was pioneer and HOF member, Howard Watts (aka, Cedric Rainwater) who played bass with Hank Sr., Bill Monroe and Flatt & Scruggs. I loved hearing his stories from his Dad about the early days traveling with those legends. Why can’t we seem to honor these folks while they’re still here. If we can make room for rap and rock at the award shows, why can’t we get one minute for these people? Please keep reminding us about these pioneers. Those of us who love the music want to learn and absorb all about it.